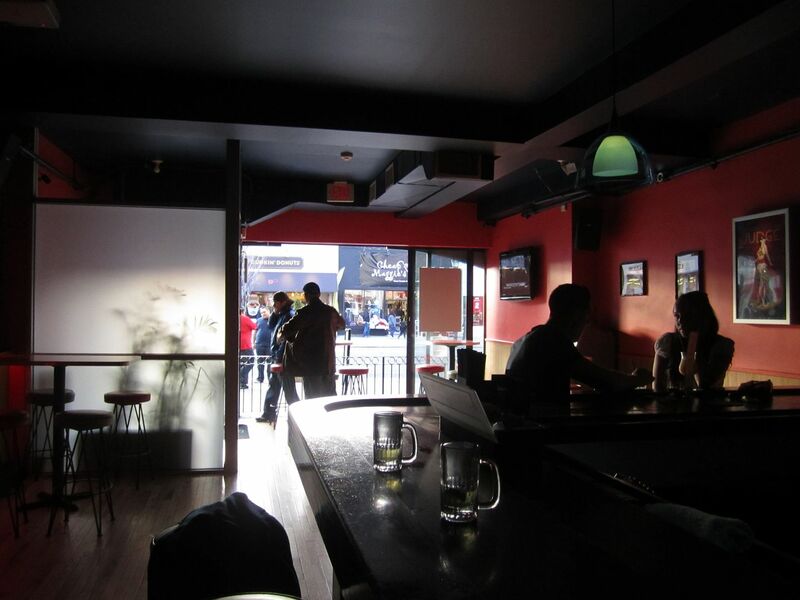 I feel that during my tenure writing this weekly bar blog, I have been both honest and informative about Hoboken’s watering holes. Yet sometimes I cannot fully levy judgement on a joint being good or bad. Some places simply lay in the middle of the road. Washington Street’s Bahama Mama’s is such a place, but if you ever decide to hit this island themed bar, it’s important to know when to go. And that fully depends on what type of bar-goer you are. 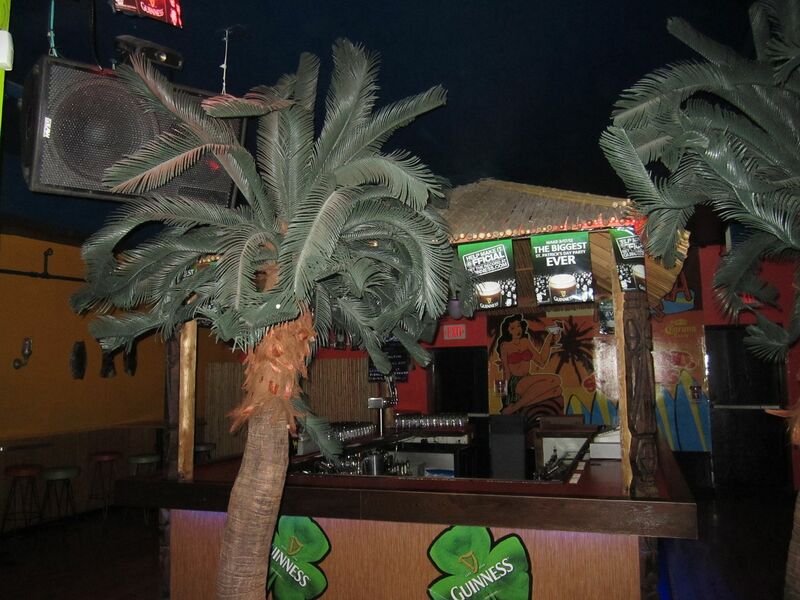 Bahama Mama’s is primarily focused on being a party bar, and they are more than equipped to pull this off. When you enter the bar, the first thing you take note of is its size. The front space features plenty of seating around a long square bar and large flat screen TVs to watch any available games. Behind the bar sits one of the tropical themed aspects that sets Mama’s apart from the rest of the local pack. They sport an impressive three barrel frozen drink machine, which pumps out tasty and potent beverages that you might expect to sip beach-side. Further towards the back of the space, Mama’s also sports a tiki bar and a general dance floor/club zone. If you love the club scene at the Jersey Shore then this is your place. Throughout the week, Bahama Mama’s goes full on dance hall with dress to impress parties and drink deals. If you’re that type of person great. I am not. I decided to hit Mama’s during happy hour after work on a Thursday. At a certain hour it would turn into a club, but for now it was a chilled out spot to grab a beer even if I didn’t necessarily dig the music (typical top 40 hip-hop and pop). The weather was spring-like on this particular day so the bar’s sliding glass front door was open, making my experience that much more enjoyable. Speaking of happy hour, Bahama Mama’s knows the drill and they do it well. I arrived shortly after 5pm and while the place was not full, it had a decent amount of customers. Many of them were parked right in the front because of the unseasonably warm weather. The happy hour drink deal is perfect for beer drinkers. Even though the place was starting to fill up, the friendly female bartender took the time to chat with me and tell me the specials. Pints of Bud Light were a buck, and Blue Moons with a huge orange slice went for two dollars. Those prices are unheard of in the City, and make this place a winner whether you like Pitbull or not. In the end, sometimes it’s all about wetting your whistle even if it’s not at your favorite bar. 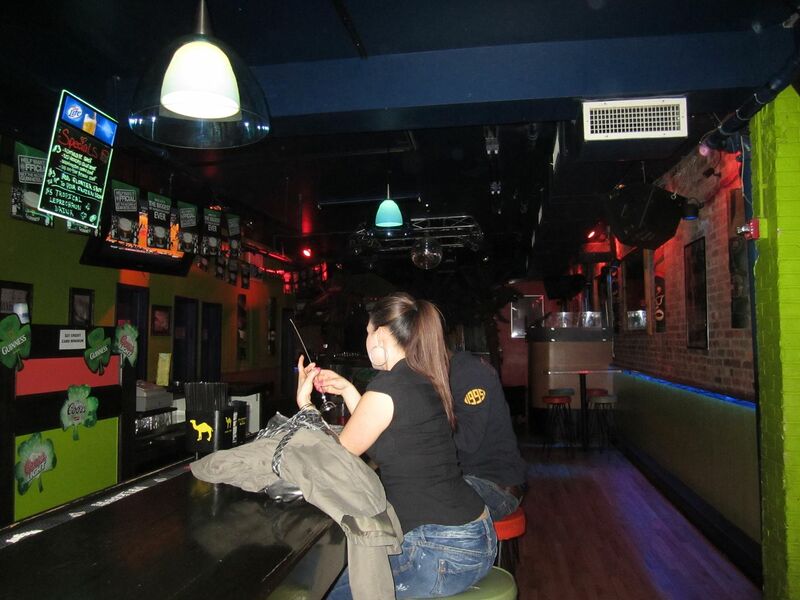 Preconceived notion – A clubby Washington Street bar. Bar Type – A clubby Bahamian themed Washington Street bar, with a cool bartender. Crowd stereotype – Fist pumpers. Music – Top 40 club hits. You know, Jersey-style. 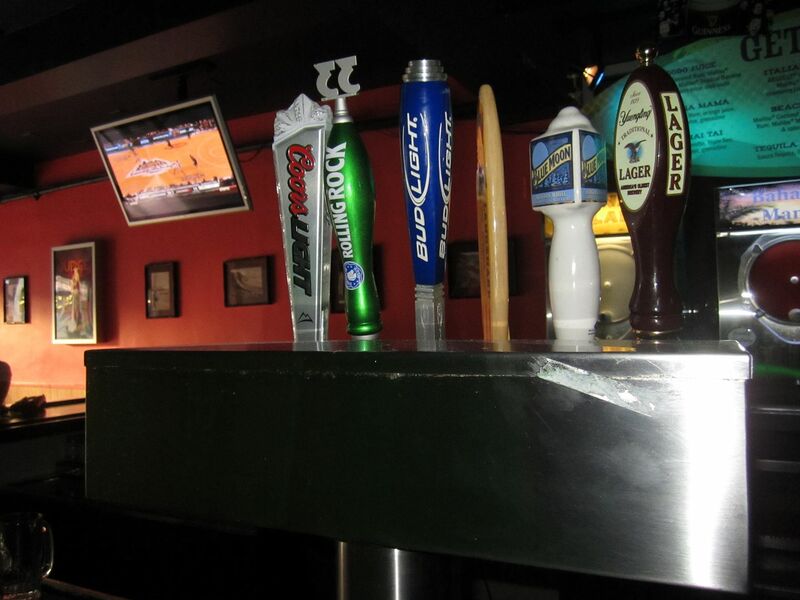 Value – Amazing dollar drafts of Bud Light, and two dollar Blue Moons during weekday Happy Hour. Date – Once again, we advise you to take a date out to eat. But if you don’t mind screaming over each other, I think it could work. Hookup – On a weekend when the joint is packed, you have as good a chance as any to get lucky. Dance – Bahama Mama’s is all about unapologetically shaking your booty. Catch up with a friend – If you plan on meeting a buddy here for a a good old, “chat & brew” make sure you do it during happy hour. First or last drink of the night – This is totally up to you if you like your bars packed or very packed.